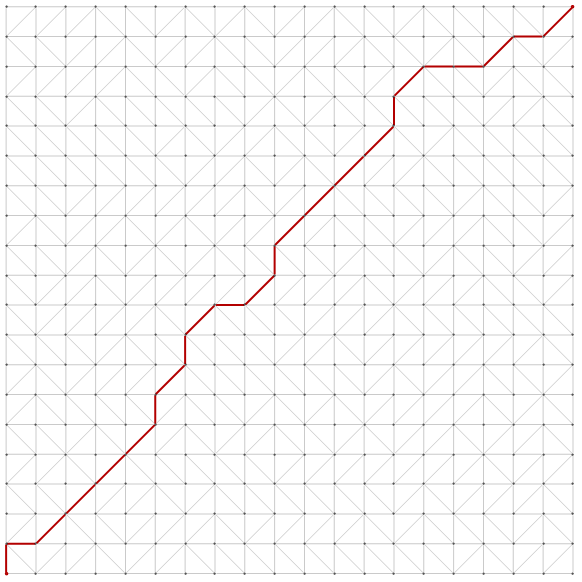 I noticed that the nice symmetric layout of a grid graph gets distorted when additional edges are added to the graph. Is there way to prevent that from happening and to keep the rectangular, grid-like layout? giving the following two outputs. I would like the additional edge(s) added to the original graph, keeping its layout unchanged. does what I want. 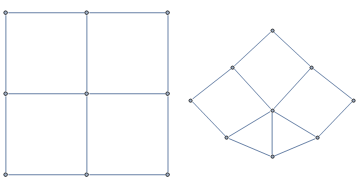 I'd still be interested to learn how I can force a grid-like layout when constructing the graph explicitly from vertex and edge lists, in particular since EdgeAdd does not seem to work well with edge weights. This construction is motivated by this question on MO. One way is to take advantage of WeightedAdjacencyGraph with GraphLayout option. Take the code in your edit 2 for example. Not the answer you're looking for? Browse other questions tagged graphs-and-networks visualization or ask your own question. Packed Graph or GraphPlot output with non-square layout? How to scale edge length and keep layout of edge-weighted Graph? How to use the edge routing of LayeredDigraphEmbedding when specifying explicit vertex coordinates?